Triton Power Wash: The Leader in Eco-Friendly Power Washing. Since inception, our company has always taken pride in using state-of-the-art power washing equipment while always keeping environmental safety and sustainability in mind. Our units utilize on-site power and water recovery systems to ensure maximum efficiency. 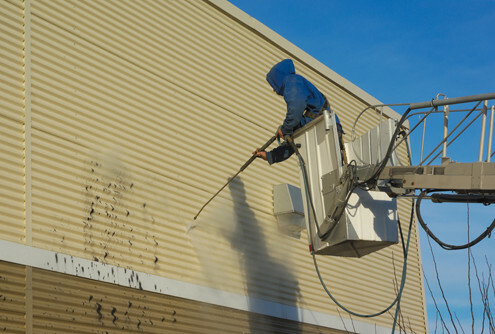 Our team is proud to offer mobile hot pressure washing services to the Greater Edmonton and Central Alberta areas – including the Alberta Oil Sands. Why Choose Triton Power Wash? 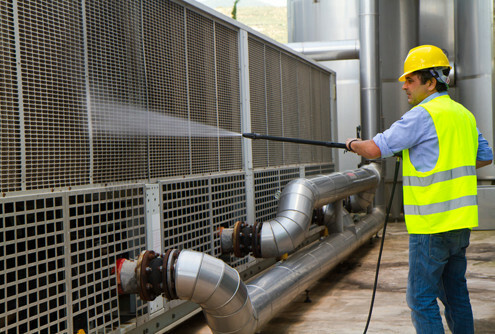 Full Commercial Services – Let us power wash your entire fleet, clean off heavy equipment, degrease oil rigs, clean out your warehouse, clean your store front and remove graffiti from your walls. Non-Toxic, Green Cleaning – We only use biodegradable, non-toxic cleaning products that are safe for the environment. With our water recovery systems, we ensure that not a drop of water goes to waste. State of the Art Technology – We are committed to providing our clients with high-quality, reliable services. That is why we only use the latest equipment and technology for our services. We are known for our extreme attention to detail, and there is no such thing as a job too dirty for us. 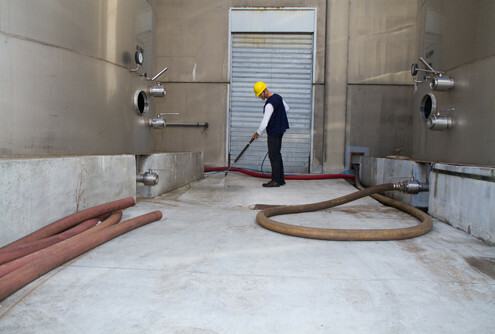 Whether you are hiring us to remove grease, clean your commercial driveway, wash the warehouse or freshen up your entire storefront, rest assured that the job will be done right. If you are in the market for power washing services, make Triton Power Wash your first choice. Call us now at 780-267-8302 for a free estimate or to schedule your power washing appointment.